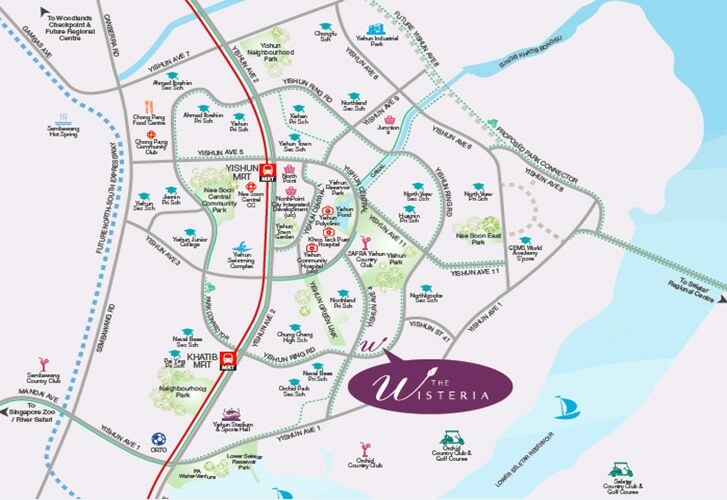 The Wisteria is a mixed development that is located in Yishun, Northern Region of the island. This upcoming commercial and residential development’s site is nestled in the junction of Yishun Avenue 4 and Yishun Ring Road. 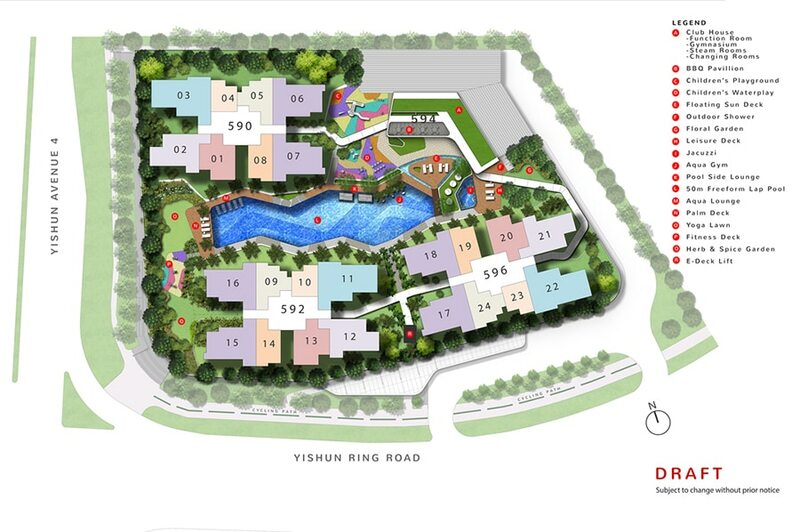 It is just beside HDB Vine Grove and opposite of HDB Palm Breeze @ Yishun. This 99 years leasehold project has a total site area of approximately 105,054 square feet. 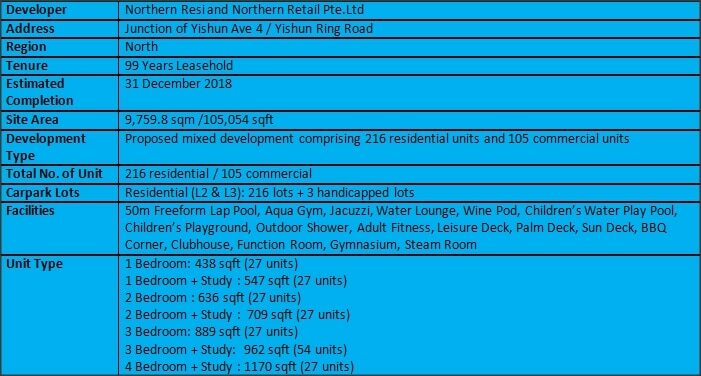 Other developments that are within The Wisteria’s vicinity includes The Estuary, Skies Miltonia, Orchid Park Condominium, The Miltonia Residences, Lilydale, The Canopy and the upcoming Junction 9 and Nine Residences, another mixed commercial and residential project located in Yishun. The Wisteria is approximately 900 m away from Khatib MRT Station where its future residents can access to the North South Line. It is just 1 train station away from Yishun Central which allows them to access many bus services available at Yishun Bus Interchange which is located at the town centre. These provide them with a conduit of convenience when it comes to traveling to various parts of the country and also to downtown Singapore. It takes drivers approximately 19 minutes to drive from The Wisteria to the Central Business District (CBD). To head down to Orchard Shopping Area, it will take approximately 16 minutes of driving. 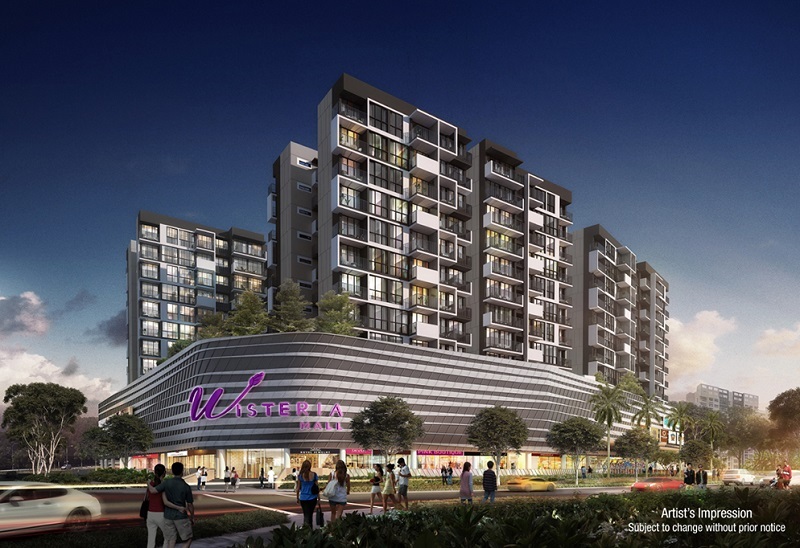 The Wisteria is also near to the Seletar Expressway (SLE) which links to the Central Expressway (CTE) and also the Tampines Expressway (TPE) providing the ease of driving to various parts of the island. The commercial units at The Wisteria will provide its future residents the conveniences of getting their daily necessities without the need of traveling far. More shopping, dining, entertainment and leisure facilities are available at the Northpoint which is located 1 train station away at Yishun Central. Future residents of The Wisteria can also take a short drive down to the upcoming Junction 9 and Nine Residences for more options. In terms of getting fresh market produce and delicious local food, future residents can head down to Chong Pang City where they can find numerous retail shops and eating outlets offering a wide array of products and services. In the heart of this neighbourhood centre, there is Chong Pang Market and Food Centre which has many market stalls and also local food stalls. A future Yishun Food Centre which is approximately 800 m away from The Wisteria is in planning. Upon completion, this food centre will provide more local food choices to The Wisteria’s future residents. There are also many education facilities that are within The Wisteria’s vicinity. Childcare centres and kindergartens can be easily found which keeps the minds of parents with young children off while they are away at work. Local schools that are nearby The Wisteria include Naval Base Primary School, Northland Primary School, Huamin Primary School, Peiying Primary School, North View Primary School, Jiemin Primary School, Yishun Primary School, Ahmad Ibrahim Primary School, Chung Cheng High School (Yishun), Orchid Park Secondary School, Northbrooks Secondary School, North View Secondary School, Naval Base Secondary School, Yishun Secondary School, Yishun Town Secondary School, Northland Secondary School and Yishun Junior College. 1. Conveniences – There are retail shops just at The Wisteria. 2. Well Linked – The Wisteria is easily accessed to SLE. 3. Potential Rental – The Wisteria is near to upcoming Gems International Academy and Seletar Aerospace Park which has huge pool of tenants. 4. Many Schools – This makes The Wisteria ideal for family living. 5. Potential Gain – The rental demand will have a positive impact on The Wisteria’s price. Want to be a proud owner of a unit in The Wisteria? Thank you for your interest in The Wisteria!